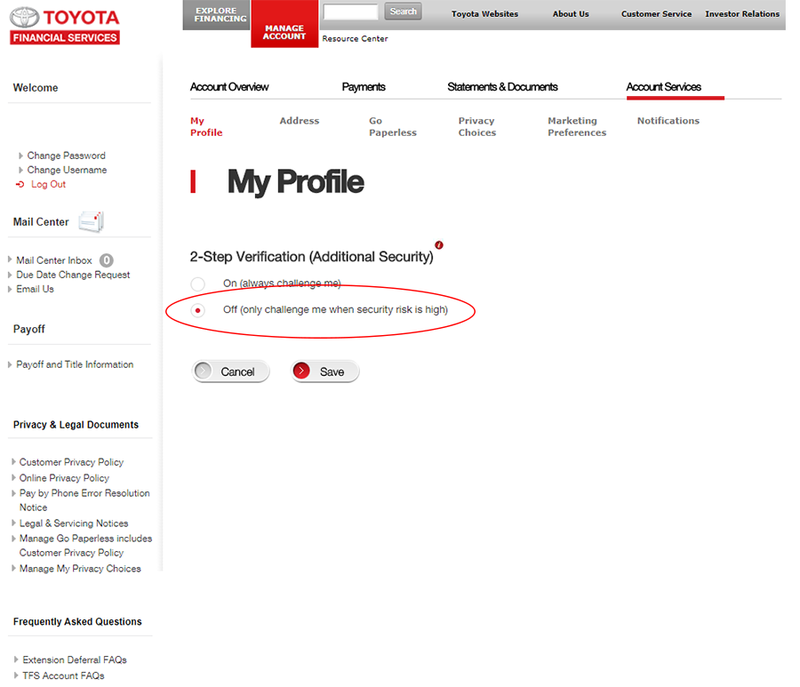 Toyota Financial Services offers two types of two-factor authentication: either choosing to complete a security code every time you log into your account, or only completing a security code when you log into your account on a new computer. In order to access your account efficiently and provide the most up-to-date balance information, you may need to alter your Toyota Financial Services two-factor authentication settings outside of Prism. 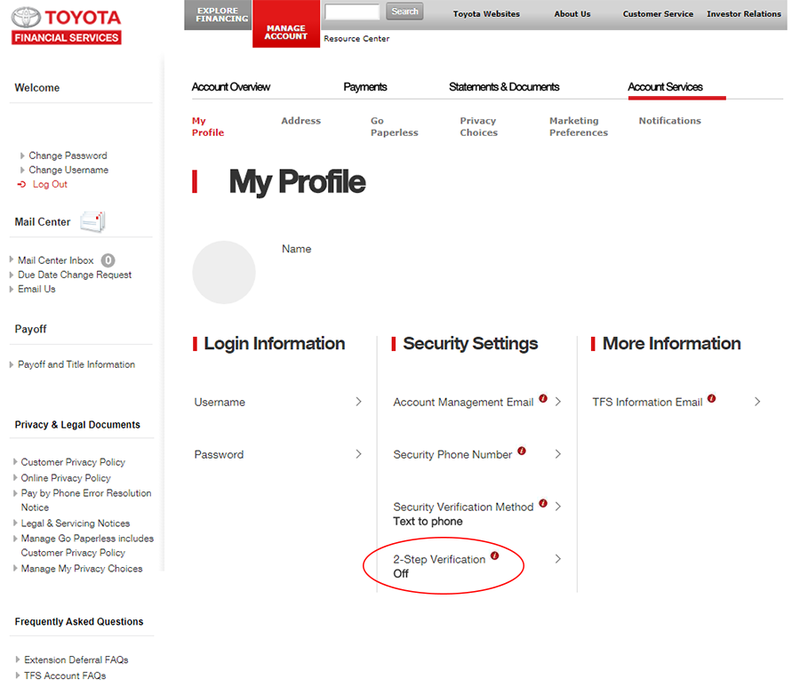 If you are seeing a security code every time we sync your Toyota Financial Services account in Prism, you may wish to review your two-factor authentication settings. 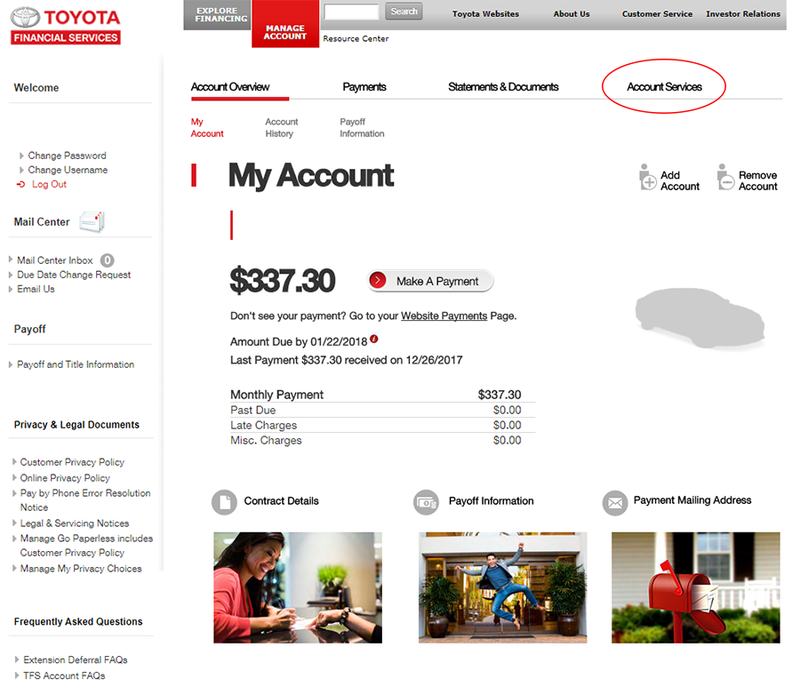 To do this, simply log into your Toyota Financial Services account outside of Prism. Once you have logged in, click "Account Services" in the top right corner. That's it! You may now log out, and re-sync your Toyota Financial Services biller in Prism. You may need to complete a security code once more. Additionally, Toyota Financial Services will still require the sending of a security code every time you log into your Toyota account outside of Prism on a different device, so your account information will still be secure! While this may work for many Toyota Financial Services customers, some are unable to change their two-factor authentication settings. If this is the case, we strongly urge you to contact Toyota Financial Services directly at (800) 874-8822 in order to resolve this issue.